Next chance for application will be primo december 2019. The purpose of the project is to invite international artists to spend a month in work residence after prior application. This initiative is called AiR – Artist in Residence. Caring for the planet – nature, ecology and sustainability. The idea of offering an artists’ stay within this theme contains the vision for the future with perspectives for our local culture. We get the opportunity to become frontrunners in the quest to get international artists to formulate visions on current global issues. 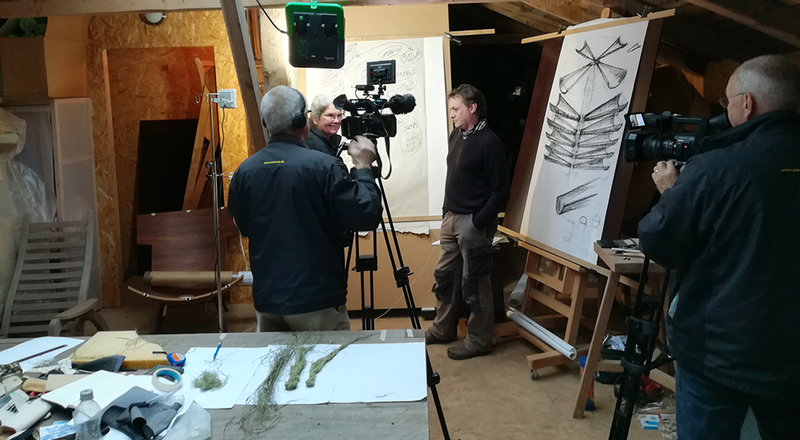 In their work processes, artists will focus on nature, environment, ecology and sustainability, thus generating suggestions for solutions to global environmental and climate problems. It is a unique project that also focuses on the municipality of Assens as an area of ​​outstanding nature and with a desire for a green profile. 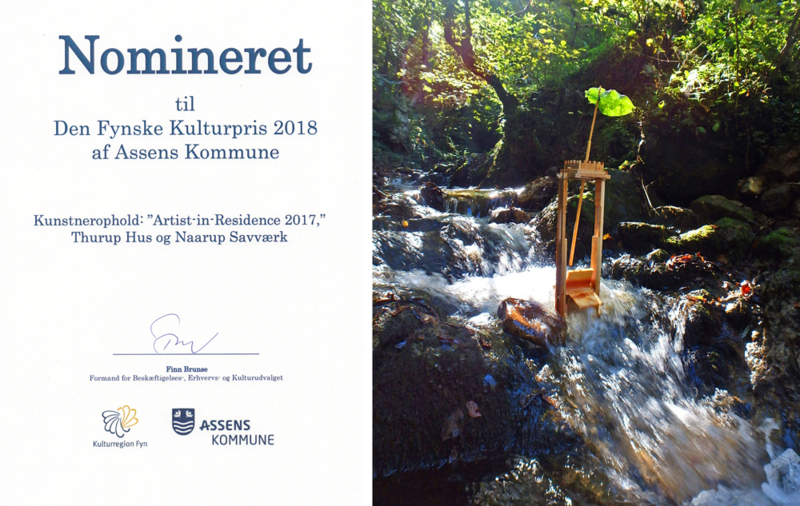 Artist in Residence Thurup Hus and Naarup Sawmill received a nomination for the Funen Culture Award 2018 ”Den Fynske Kulturpris 2018” and achieved 2nd place. Propagation of everything the project has to offer to provide inspiration for local culture and business. 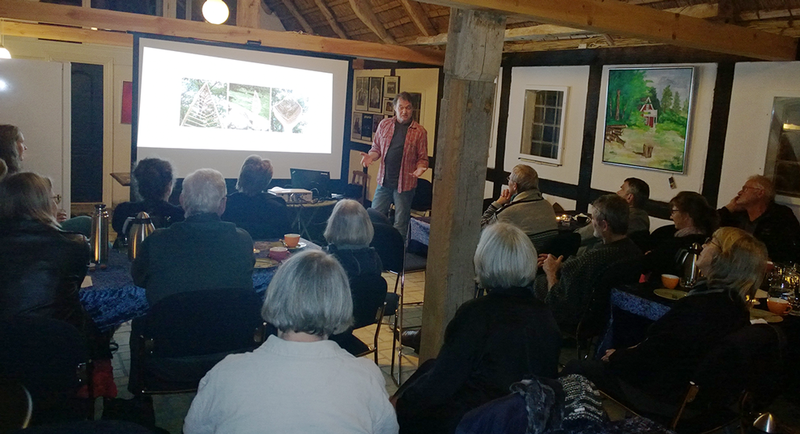 The guest artists’ talks will include their thoughts, ideas and practical results of their stay. Network for local artists for mutual exchange. Public art exhibitions during the stay. Focus on a unique local nature and culture. Press coverage in newspapers and TV. Film documentaries with focus on art, nature and sustainability. Focus on the Municipality of Assens as an International Art Centre. The purpose description shows that a very important part of the entire project is a wide public propagation, so that the ideas and visions that the artists create and develop are spread as widely as possible, thereby providing inspiration for culture and business. It has already been shown, that the artistic/cultural exchanges that took place through the Travel Grant (“Rejselegatet” – as a subsidy to working abroad), The Sculpture Symposium 2017 Assens and Artist in Residence Thurup Hus, have brought knowledge of Assens far across the country’s borders. A network has already been established for artists and other cultural representatives from abroad, which manifests itself in various cultural exchanges, such as visits, return visits, exchanges of exhibitions, interest in our special culture and history and an admiration of our unique nature. It is apparent that Assens Art Council, with its theme “Caring for the planet, ecology and sustainability,” have really hit a vein, one which is in current focus from many different sides all over the world. This leading position that we have created in Assens by being the first to establish a residency project with a climate-friendly topic, is in my opinion, well worth cultivating.